… so gross. And nothing makes any sense without Lyndsay. He grabs his Walkman and hits the pavement, adjusting his ballcap as he goes out the door. He has no destination in mind. His girl – his best friend – has moved away. He doesn’t need a destination; he just needs to keep moving. Face forward. Anything to not have to open another mathematics book and see her face. Science can wait, too. And that Lord of the Flies book. She already told him all about it. There are places to see. Thoughts to ignore. The night begs to be embraced and so he will walk Main Street, listening to the sounds as the day dies around him. Lyndsay says she wants him to be happy. Tim needs this chance to become whole again. Away from friends. Away from teachers. Away from certain memories. The vapor of the summer that was still lingers in the air. His first kiss. The late-night curfews as he and Lyndsay drove up and down the main drag in town. If he closes his eyes, he can actually see those strands of better days still floating behind his eyelids. They might be out of reach, but – if he just keeps walking and concentrating – there will be more of a chance for him to reconnect with what went before the alarms were set again. The German producer who has mastered the songs for when you are NOT alone returns with a release which is exactly the best soundtrack for when you ARE alone. Summernights is out and it is ON FIRE! When the opening refrain of “We Were So Young” hits, you’ll be hard pressed not to feel a lump rise in your throat. This is where the story of Tim’s awesome summer with Lyndsay and his forelorning reflection comes from. Blaze of Gunfire ignites the imagination. And the producer, capable of darkwave and vaporwave and everything else, simply won’t quit. And for good reason. The music is GREAT. Just put this release on repeat and try to plow through your own memories. 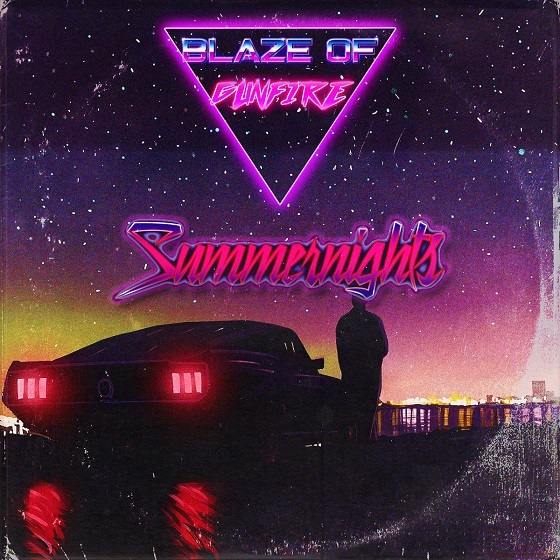 The synthwave nostalgia is strong with Summernights, boys and girls. So much emotion. So much passion. And so much of us to wander free in these awesome songs. That’s always been at the forefront of Blaze of Gunfire’s releases. This producer tugs at the heartstrings so delicately that it almost hurts. Summernights is no different, scoring win after win of heartfelt nods to the passing of the warmest of days. This producer might dabble some in television action bits (see “City Cruiser”), but this is a focused and truly emotion-filled release. 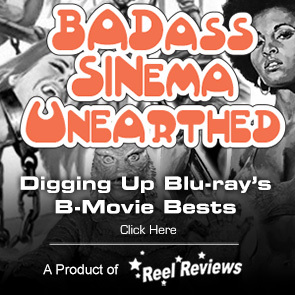 It is up there with the highs of film composer Sylvester Levay's work. Mannequin anybody? The blows to the heart keep coming as “Our Days” solidifies this album’s main call to memory. Suddenly, we are rocking along with an awesome hook that seems ripped straight from Miami Vice and dropped right into our ears. Try to keep still while the electronic gloss of rhythms, soaring guitars, and sparkling keys slip slide across the glittery night in this blazing track. The palette of nostalgia and ear candy gets further sweetened with this release’s main theme. “Summernights” will definitely get you lifted, recalling all your former loves and losses against the sway of the night. This release is meant, at least to my ears, to be heard (and felt) against a sky full of stars and twinkling city lights. There’s just no way around it; you will go on a voyage into the past with these songs. The release is short and it’s so very heartfelt, but – complete with a VHS crackle of “Miami Skyline” – there’s a sincerity to what is offered here that cannot be refused. Pay ANY price for this album and get ready. This is Blaze of Gunfire’s best release. And, with the sweetness of “Until the Sunrise” and the energy of “City Cruiser” rounding out the release, RetroSynth Records’ own Blaze of Gunfire delivers the soundtrack for someone’s perfect night. Sunrises were meant for such forward-thinking soundtracks like this.